There seems to be something arrogant about entitling a blog “The Pastor’s Reading List.” I don’t know if it sounds haughty or elitist or what, but something does not seem right. Yet, in the spirit of years gone by, I feel compelled to publish my reading list for this upcoming year. It is not that I think more highly of myself for reading; nor is it that I feel a need to publish the list. Rather, the list is a result of what I like to read about others. Like so many others who read “reading lists” around the New Year’s season, I love reading…reading lists…too. Besides, instructors on writing tell us to write what we love, so here goes. 1. Revelations of Divine Love, by Julian of Norwich and translated by Fr. John-Julian, OJN. As a spiritual formation doctoral student some years ago, I made it my life’s work to dabble in mystics and spiritual fathers and mothers of old. But, as so many other doctoral candidates know, it is hard to read primary sources when so much tertiary research is needed to get through the slog of writing. One such source lost to me included the writings of the fourteenth-century mystic, Julian of Norwich. Julian’s Revelations (the first English book written by a woman) record her visions and experiences as she served God in her commune in Norwich, England. More poetic than prose, this book requires a slow reading–more of a prayerful meandering through the mind and heart of one of the most beloved women in all church history. I started reading this book when I purchased it on a recent trip to Georgia three weeks, and it is proving to be more devotional than anything else. Nevertheless, the Abbess abides. 2. Living at the Crossroads: An Introduction to Christian Worldview, by Michael Goheen and Craig Bartholomew. There are books I want to read and books I have to read. This falls in the “have to” column, but for a great reason: My alma mater, Palm Beach Atlantic University, finally picked me up as an adjunct instructor for an abbreviated Spring season. My class is Christian Values and Biblical Faith, a required course for all graduating students. This is our primary textbook. It does not look so bad, and I look forward to gleaning new things about worldviews since the book I used for the class over 15 years ago (which I did not assign to my upcoming class!) was terrible. 3. Dragon Teeth, by Michael Crighton. People familiar with my reading habits know that I always throw in what I call “junk novels”– those escapist books that get me out of the religion bubble, ranging from horror to science fiction. Last year it was Ghost Story by Peter Straub. This year, it is Michael Crighton’s posthumous published book from the Jurassic Park universe. The truth is that I cut my teeth (no pun intended) on Crighton’s books in high school. I watched Jurassic Park on the big screen, read the novel, loved the novel, and then checked out every Crighton book available through my high school library. I thoroughly enjoy his books (I re-read Jurassic Park two years ago, and Boy! was it good! ), and I am glad for this gift from Crighton’s file cabinets and family estate from whence the manuscript came. 4. Men at Work, by George Will. Yes, the George Will–conservative columnist, economist, and hero for Republicans who can’t stand Trump–wrote one of the classic books on the history and business of baseball. Many who read Will (myself included) know not only of his politics, but of his genius related to the sport that he and I love. 5. Incarnational Ministry: Being With the Church, by Samuel Wells. I enjoy the writings of Samuel Wells as I am an avid reader of his columns published in The Christian Century. This book, advertised in said magazine, caught my attention because I have been praying about some annual goals for my ministry at First Baptist Church. One goal is to help the church be the church to others–in the neighborhood, in the community, across the globe. Many in the congregation do not have to do anything differently, as if being busier will do the trick, and there is a culture of service and missions in the church already. It is just that we need to help the congregation see their work and service as a particularly sacred vocation in which service is more than lending a helping hand, but being the very face and presence of Christ for those who need the marriage of love and justice in their midst: disciples tasked with making disciples. I hope this book will provide the grammar and biblical infrastructure for this goal in my ministry. 7. Plain Speaking: An Oral Biography of Harry S. Truman, by Merle Miller. My mother purchased this book for me at a yard sale some years back, and it has been sitting on the bottom of my “to read” pile for far too long. Since I take on a lengthy history, often surrounding presidents, every year (last year it was Florida history with The Everglades by Marjorie Stoneman Douglas), I figured, “Hey, its 2018, why not?” I figure that it will be good to get back to some good ole’ days when presidents presided and the nation worked a little more harmoniously than now anyway. Although I don’t agree with all of Crossan’s assessments on the historical Jesus, his writing and lectures have provided endless, fresh insights into the cultural world of Christ. 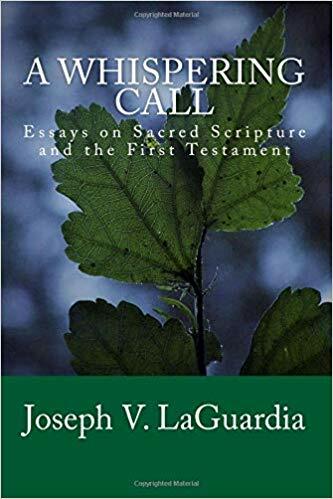 His acute attention to the literary aspects of Jesus’ ministry mirrors my own, and his knowledge of primitive sociology highlights context that other scholars fail to engage. Jesus is actually a classic, published some years ago, but I never got around to reading it– I was too busy reading his In Parables over and over again. But now I finally have the book in hand thanks to a local used book store and, I hope, the time. 9. To Dance with the White Dog, by Terry Kay. Terry Kay was an author that a parishioner from my last church recommended. Kay, a local Georgia author, lectured throughout the state and was a common visitor to the writer’s guild thereabouts in east Atlanta. My parishioner let me borrow one of his books, The Year the Lights Came On, and I was sold. The book was amazing, and Kay’s whimsical writing and southern humor captivated my imagination and my heart. To Dance with the White Dog is actually the book for which Kay is best known, and I look forward to reading it with delight and anticipation. 10. Forebearance: A Theological Ethic for a Disagreeable Church, by James Calvin Davis. To be honest, I am not quite sure what this book is about other than what the title and the summary on the back says. Davis argues that his contribution is a “theological ethic” whereby churches and Christians from various backgrounds are called to “bear with each other” as a way to build community. It is an “antidote to the pervasive divisiveness present in contemporary culture.” That’s a high and lofty calling; we will see if Davis can match those expectations. 11. Holy Envy, by Barbara Brown Taylor. I learned of this forthcoming book only this evening when I stumbled upon a colleague’s 2018 reading list. I am usually up on all and anything that Brown writes, as she is my favorite author. Of. All. Time. So when I learned of this book hitting bookshelves in August of 2018, I knew that I have to get it. I can’t wait, but perhaps the book’s release date is divine timing: God knows that if it were to be published now, I would neglect my preparation for that adjunct class at PBAU. God knows how to handle these things in God’s time, so I plan to keep my entire month of August free from all reading commitments until I obtain and read through Brown’s next treasure. 12. and 13. Rounding out my list are two memoirs that I picked up along the way, one old and one new. The first is Wouldn’t Take Nothing for My Journey Now, by Maya Angelou and the second is Still Christian: Following Jesus out of American Evangelicalism, by David Gushee. Maya Angelou is among my favorite authors, and her words–very much like Barbara Brown Taylor’s– drips with intimacy and elegance. This memoir is a collection of wisdom that she passes down to readers, complete with her unique whit and ability to weave words into deep wells of insight. Still Christian is a memoir not for the faint of heart. This book, which recalls Gushee’s long journey from Southern Baptist pastor to marginalized ethicist, rings true for far too many of us who are in the throes of ministry and Baptist life. Reading his early conversion experience and call to ministry (I’m up to page 26 already) is like reading my own, and I feel that Gushee is writing for many of us who fear losing our voice in a fractured, partisan society. Yet, there is a relationship here. I had David Gushee for several doctoral classes, and I have come to admire and respect him as author, ethicist, and deeply committed Christian father and husband. His book on marriage helped me save my own, and his humble and penetrating openness to the Spirit of God has inspired so many students and ministers who work in the public square. I feel as if reading this book is not so much reading a book as it is reading a personal letter from a friend. Along with Angelou’s writing, its good stuff, ya’ll. There you have it: the lucky thirteen books I hope to tackle this year. Based on my efforts in the last two years, however, I will probably get through seven or eight before I buy and read a dozen more. Then there are the books–as yet unknown–that will be assigned to me by my Baptist peer learning group each month. But that’s how these things work. There is the hope; then there is the reality. Nevertheless, what do you hope to read this year? And what “reading list” catches your attention? Gleams of Glory, by Gwynn McLendon Day- a peach of a book published in 1964 by a school teacher. The book was gifted to me by the widow of the man who was chair of the search committee at First Baptist Church (he passed away before my coming on board as pastor). The book is amazing–every sentence a jewel. That it once belonged to a man I met briefly but admired greatly is even more significant. Church in Ordinary Time: A Wisdom Ecclesiology, by Amy Plantinga Pauw. This book looks really interesting, and Ordinary Time has always fascinated me as a season. I’ll hopefully get to this during the summer! The Pilgrimage Way of the Cross, by Edward Hays. This is the book that I was assigned by a retreat leader with whom I will be doing a Lenten journey. We are a part of a group that is to do a 30 minute self-directed retreat during Lent, and this book is filled with devotions and prayers for each day of the season. Gift of a Letter, by Alexandra Stoddard. Another book on letters because I enjoyed The Art of Thank You so much. This one I read a little at a time, but enjoy its aged and nuanced take on the significance of writing in general and of writing letters specifically. Letters and Papers from Prison, by Dietrich Bonhoeffer. An eerie look inside of the mind of a genius theologian who does not know that his days are numbered. As I read this book now, I am mindful that he died at age 39. I just turned 40, so Bonhoeffer’s writing hits close to home. Struggling with Scripture, by W. Brueggemann, W. Placher, and Brian Blount. Picked this up at the used book store primarily because of its authors: Progressive Presbyterians take a closer look at the Bible, what it means to them personally, and how they negotiate Bible interpretation as ministers and scholars. William Sloane Coffin provides a whimsical introduction. Now and Then, by Frederick Buechner. Memoirist and pastor who speaks of his early time in seminary. 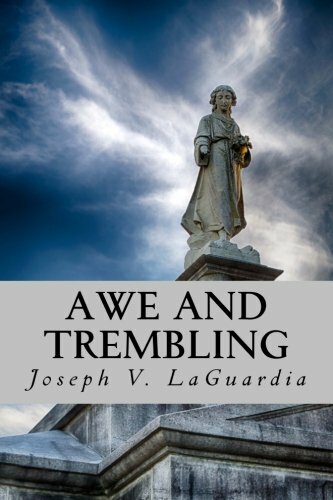 A book about the celebration and mystery of faith as well as the affirmation of Christian calling. Be Known for Something, by Mark MacDonald. A book for a pastor’s peer learning group on the importance of congregational identity and leadership. The author contends that church’s thrive when they are known for something unique in their local communities. Although I agree with this book because I’ve been preaching this church ethic for my entire ministry, I would not recommend the book. It is boring–and the concepts could cover a brochure, not a book. For We Have This Treasure, by Paul Sherer. The Yale Lectures on Preaching from 1943 from Union Theological Seminary homiletics professor and Lutheran Pastor, Sherer, who taught at a time in which spiritual giants ruled Union (the Neihbur brothers, etc.). The book is just as relevant today for clergy as it was back then, as it is a powerful testimony of the methodology and biblical foundations of progressive preaching for which northern pastors were know. It is one of those books where I read a few sentences before having to stop and reflect–the Holy Spirit grabs a hold of my heart and prayer ensues! The writing is thick, the conviction it evokes overwhelming, and the Spirit captivating in its every word. A powerful book! Gilead, by Marilyn Robinson. I once owned this prize-winning novel and got rid of it. I’m not sure why, but perhaps I was not ready for it yet. This novel that reads like a letter from a retired pastor to his son is captivating and honest, a reflection for those of us in ministry and parents. So far so good. An Introduction to the Old Testament, by James King West. A more historical-critical take on the Old Testament published in the 1970s and revised in 1980 takes a broad view of the First Testament. West’s ability to marry historical and anthropological insight with a close reading of scripture has been both entertaining and informative. Its take on the politics of the Davidic and Solomonic monarchies have been exceptional. Upstream, by Mary Oliver. A collection of essays by author, poet, and naturalist Mary Oliver. The book looks good, and its been a while since I’ve delved into some hearty naturalist writing, so I’m looking forward to this read once I finish Gilead. 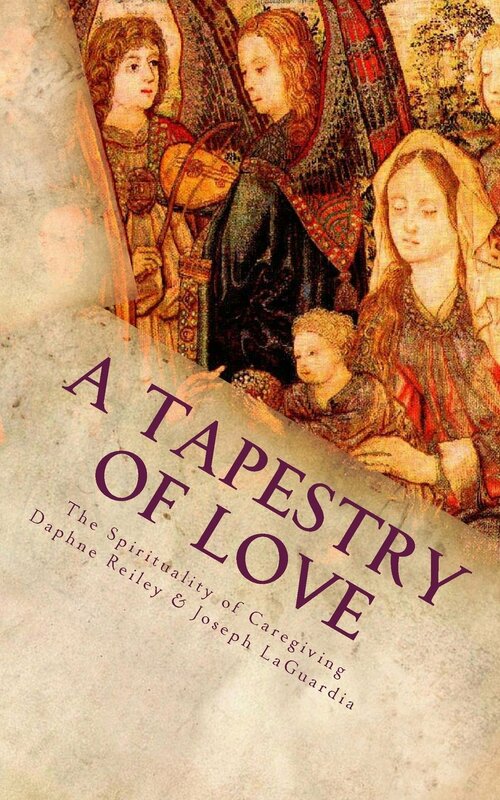 Love, Then Listen, by Daphne Reiley. The long awaited memoir of a good friend (and co-author of my book on caregiving, A Tapestry of Love) who walks with her son’s gender transition. The book recalls the roller-coaster ride of emotions that echo the journey of so many families who wrestle with transgenderism, suicide, depression, and–with God’s grace and a supportive network of friends and colleagues–eventual liberation and joy. I give it a more thorough review on Amazon here. Speaking of Sin, by Barbara Brown Taylor. A short book based on Taylor’s lectures at the Preaching College in Washington, DC. It is an examination of our language surrounding sin and our redemption from sin, with an emphasis on a “third way” that moves past conservative “full-fault” theology and liberal “no-fault” theology. For me, the greatest insight was her insistence is that we sin not only by the things we do, but by what we do not do. We sin when we under-estimate our salvation in Christ and fail to take our place as a redeemed–and redeeming–people. In that, we are saved, yes, but–as Jewish theology encourages us–we must participate in the ongoing repair of the world.